“I saw your post today about “the wall” and had to write to you! My name is Lauren (Flood) Kennedy and I’ve been following Sally since September. I am a MSKCC pediatric cancer survivor – 18 years and counting! I’ve been hoping to bump in to you and your family at MSKCC to tell you in person what an impact Sally has personally had on me. I was diagnosed with Hodgkin’s Lymphoma in 1997 at age 12 and treated by Dr. Trippett – she still follows me and I make my way back to the pediatric floor every year! Chemo, radiation and lots of love and prayers later, I was cancer free. Fast forward 18 years, I’ve earned my masters, chaired Relay for Life twice, taught 8th grade algebra, married my high school sweetheart, and had three kids in as many years (which, of course, they told me might never happen). In February 2014, I was diagnosed with thyroid cancer – a side effect of the radiation. I was treated at MSKCC once again and fortunately only needed surgery this time around. During the summer, the breast surveillance program at Sloan recommended I consider a prophylactic double mastectomy because of the risk from the radiation I received as a child. This was about the time I started following you on FB (my husband’s family is from Marine Park and Breezy and they were following you). I am in awe of Sally’s strength and perseverance. When you posted the video of her when she broke her leg, I was absolutely heartbroken. When you posted a video soon after of her scooting around, I knew right then and there that if this sweet baby girl could fight this hard, I sure as hell better do the same. In this moment, I was reminded of the strength and courage and drive I had as a child to beat my cancer. I decided to do the surgery and am 2 months post-op now. Sally’s inspiration has brought ease to my husband and kids (Brendan 4, Michael 3, and Anne 20 months) in that they never have to worry about me suffering from breast cancer. Thank you for sharing your beautiful daughter with us! She has such a special place in my heart and I pray for her and your family every day. Not a day goes by that I don’t think about Sally in the present, but also about what her future could be. Lauren’s powerful message gave us a unique insight into the long-term obstacles that come with current childhood cancer treatments. At the same time, we are so humbled about how she handles her challenges with such a positive outlook. We never imagined that Sally’s experience could one day drive our children towards careers that will allow them to make the world a better place. 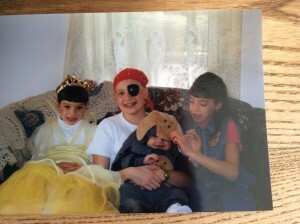 Lauren is right, we all battle childhood cancer together as a family. When one of us has childhood cancer, we all have childhood cancer. At the same time it rocks me to my very core to know that Lauren has faced three different forms of cancer, all before the age of 30 and two from the original treatment. And not just Lauren, we have come across many childhood cancer survivors with similar stories and challenges. These stories have become the foundation for our determination to be vigilant about monitoring her health, to catch any long term effects or relapse as soon as possible. We never imagined that one day we’d have to teach Sally about the importance of this vigilance as she grows older as she will need to carry this torch on her own as an adult. One day I pray that Lauren’s story will no longer be the ‘best cast scenario’ for children who battle cancer. We love when Lauren shares photos of her family celebrating milestones together, and that she continues to receive support in her ongoing battle from family and friends after all these years. We dream that Sally will live to experience similar moments of joy one day, and know all of you will continue to support her in the years ahead. 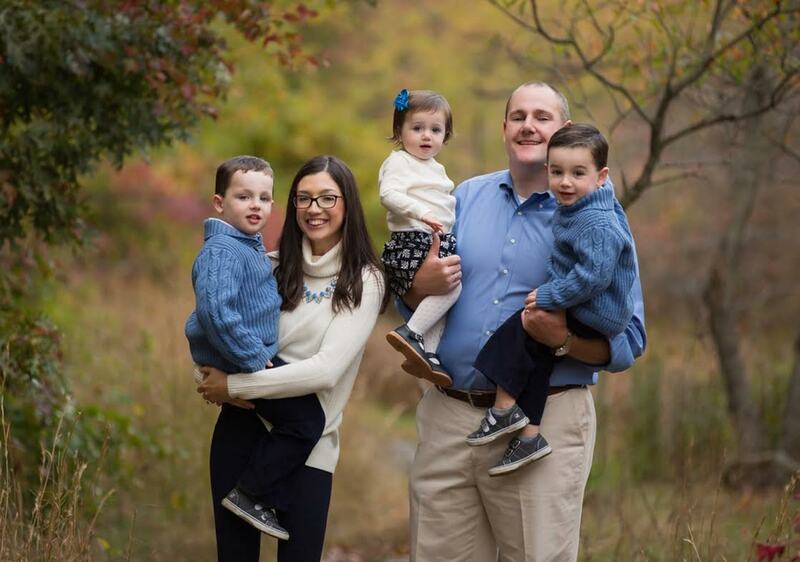 We are both surprised and moved that a blog we started as a way to keep friends and family updated, and as an emotional outlet for Matt, has made a difference in Lauren’s life. Matt and I wrestled over much of the content we shared, including whether or not to share the video of Sally’s leg breaking due to her treatment. Receiving Lauren’s message validated that sharing Sally’s unfiltered story was the right thing to do, it made opening our lives to all of you worth it. Although Lauren remarks how much Sally inspired her. The truth is Lauren, you have inspired us in your battle, and in your openness with us. We are now honored to call you our friend, and hopefully one day a mentor for Sally. Lauren sent us this picture of her in treatment. Lauren and her family today. Please keep Sally and all the kids that battle or have battled childhood cancer in your thoughts and prayers. I have been following your family journal for awhile. Of course the first thing that caught my eye was also my name, Sally. Not a very common name. I am a pediatric nurse and, along with Lauren, want to thank you for your very honest blog. While I have been incredibly fortunate to have healthy children, reading about your struggles allows me to understand my patients and families so much better. I feel like I can respond to their needs, wants, stress, disappointments, and joy in a way that might not have been possible for me. I pray for Sally and your family all the time. Thank you again. You are an awesome family!! Cheers to Lauren and her whole family for their bravery and fortitude. Thank you all for showing us some of the strengths we need to survive this disease. Inspiring people inspire. What moving stories both Lauren’s and Sally’s. Prayers for both families.